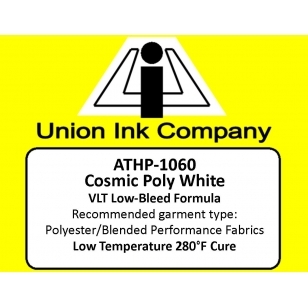 Cosmic Poly White has excellent low temperature dye migration resistance on all 100% Polyester Performance Fabrics in the market today. Amazing coverage capability and superior stretch and recovery features are built in. Cures as low as 280F! 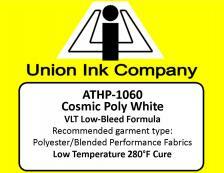 Low-Bleed Cosmic Poly White 5.0 Ink 06/13/2018 By Arnold Heiser This ink was great -- we had a rush order for softball jerseys and always nervous doing jerseys plus there were no extras if we made an error. 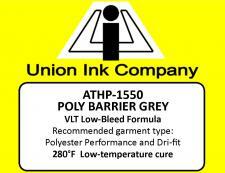 The ink thou went down easy and with a low temp cure we were able to get the job done quickly!